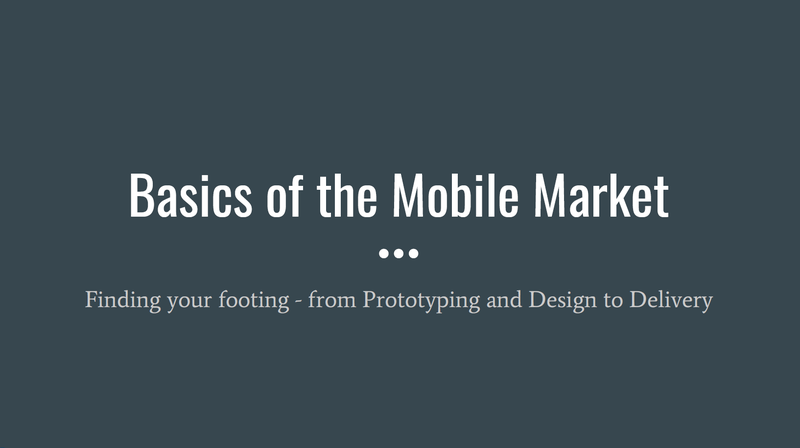 Yesterday, I gave a talk to the Des Moines Web Geeks user group about the basics of getting into the mobile market. I gave my insight on acquiring and monetizing users, as well as some general tips for designing, releasing, and iterating on an app. I have attached the slides below, if anyone would like to check them out. I didn't get the chance to record this talk, but I will look to do that in the future!